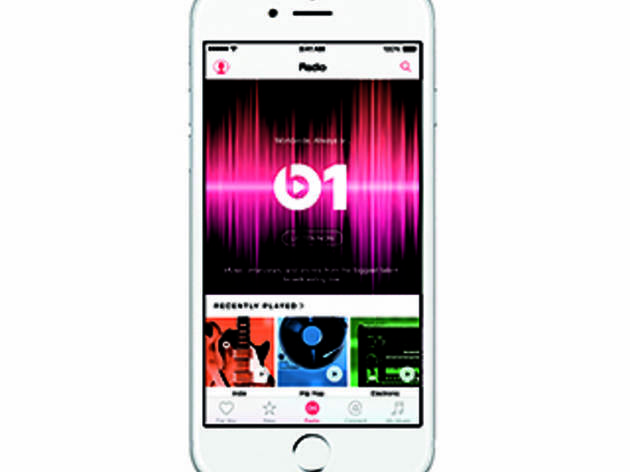 For all your listening desires, here are the nine best free music apps you should download. Yes, you still have to pay for Adele’s new album, but these apps are definitely worth downloading if you want to listen to a playlist of NYC songs, discover the next rising star and listen to music based on recommendations from real people (not algorithms!). Let's be real, we all lead messy digital lives: Our music is scattered across laptops, phones and the mysterious cloud. 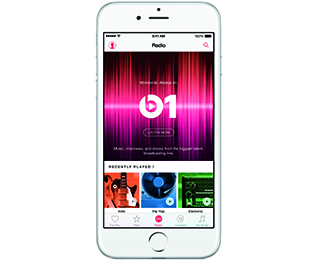 Instead of running away from musical disarray, streamline data with the Apple Music app, combining iTunes libraries with imported tracks and purchased songs from the Apple Music store. It’s much better than repeatedly listening to that one party playlist that randomly synced from your phone. If you don’t feel like sifting through Spotify’s 30 million on-demand songs, just pick a playlist mood (Afternoon Acoustic, All The Feels, Confidence Boost) or a cleverly named subgenre (R'n'Bed, Deathcore, Epic Classical) and tune in to a curated collection of tracks from 1,300 genres. Unlimited skips! 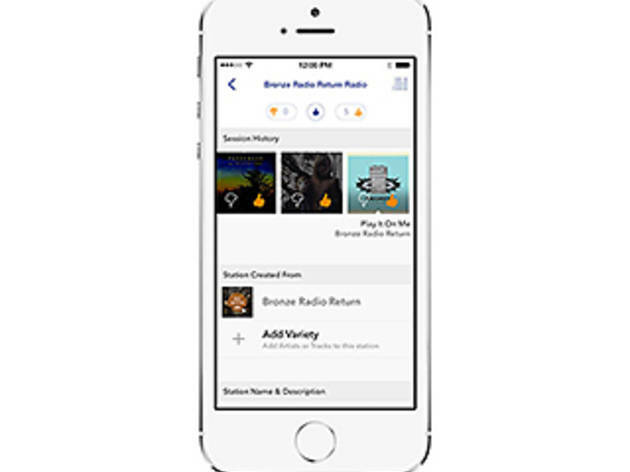 Ad-free stations! Streaming from the cloud! 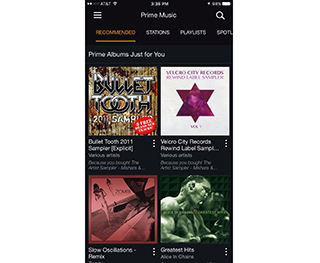 It's technically only free if you're an Amazon Prime member, but this app is such a fantastic option for tuning in to chart-climbing hits and creating personalized playlists, we had to include it. 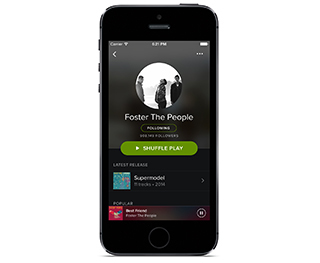 By liking or disliking songs, you can train the algorithm to learn your musical preferences. 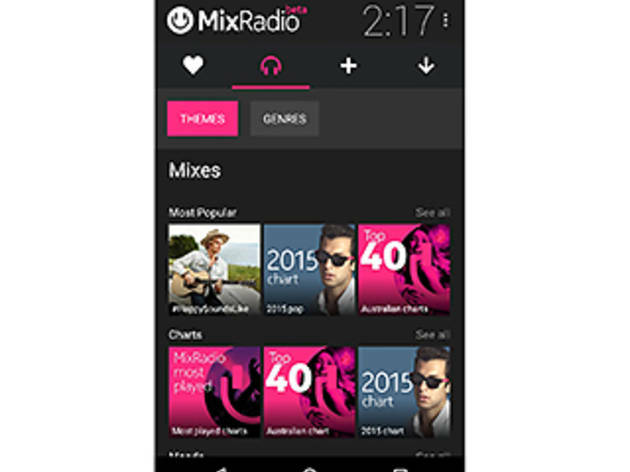 Your tailor-made, cloud-streamed playlist is just a click away. 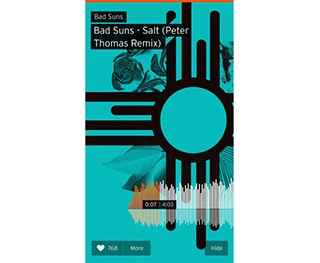 Upload original songs and discover emerging artists on this app, with a minimalist design and aesthetically sound layout making for seamless browsing. 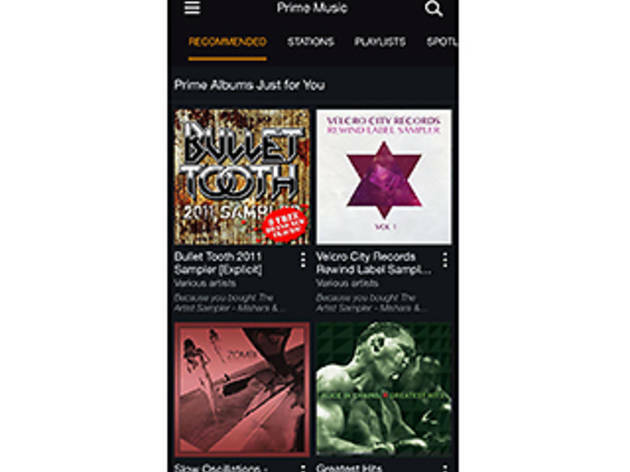 You can link your Amazon and Google Play accounts to get greater access to a wider assortment of songs, and it’s not just for music: you can download podcasts and audio shows, too. 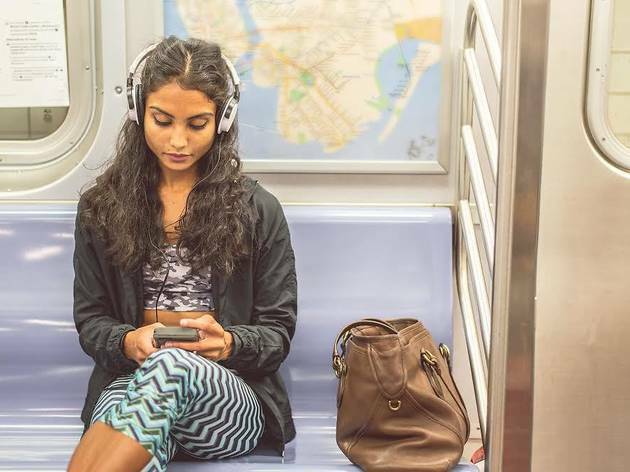 Tech heavyweight Google launched this one so that you can continue to jam out to your saved songs when you go off the grid—in a subway, on an elevator, exploring the great outdoors—anywhere far from Internet service. 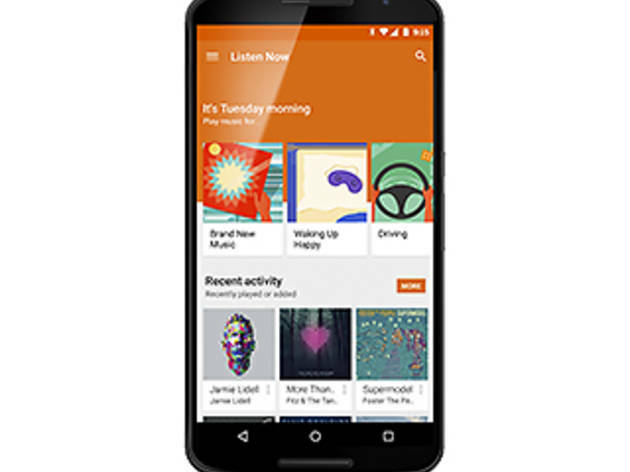 And there's no need to sync—your playlists update instantly across all your devices. 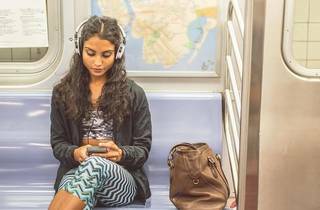 Peruse a library of more than 35 million songs, select a rotation of artists, plug in your earbuds and bliss out to a playlist made just for you by its music experts. You can also listen to genre-specific mixes, and there will be new music suggestions thrown in there, too. 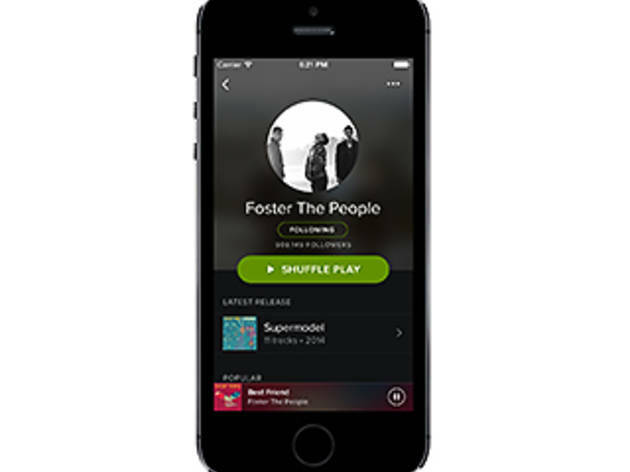 And after you download your most favorite roundups, you can listen to them offline at any time. 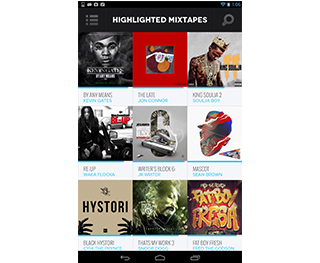 Many apps give users access to mixtapes and underground Hip-Hop and R&B, but Datpiff is top in terms of usability (Spinrilla is a close second). 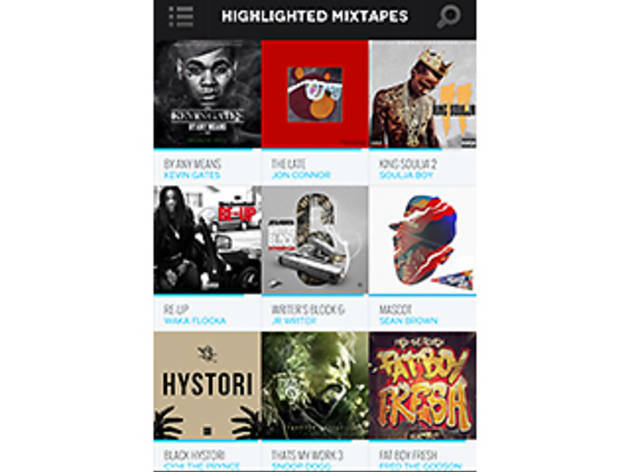 Download unlimited mixtapes—without making an account—to listen to artists like Gucci Mane, Waka Flocka, Migos and Wiz Khalifa whenever you please. 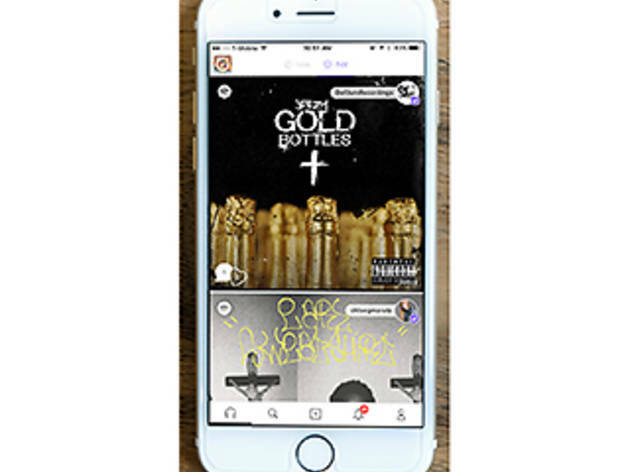 Cymbal is the Instagram of the music app universe: Built for social interaction, it lets users discover music organically, sans algorithms. 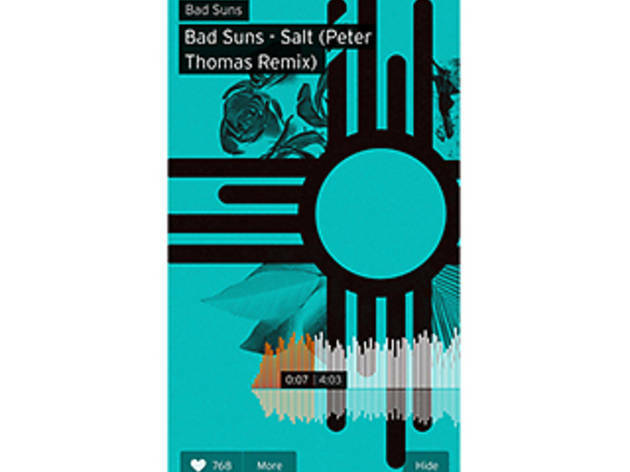 Follow an artist, celebrity or your most in-the-know friend and double-tap the heart icon to like, comment or add a hashtag to their posted tracks. There’s also a comments section so you can deconstruct your favorite lyrics, and you can even search out people with matching tastes (aka your musical soul mate).